Atty Ilan Bombach: Existing laws make it possible to try MKs for leaking Prisoner X affair. 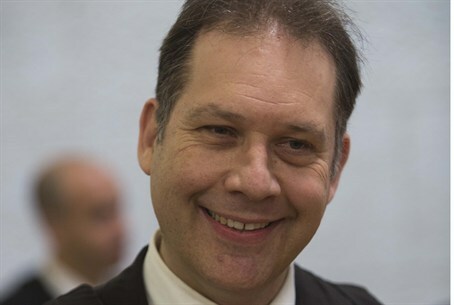 Attorney Ilan Bombach, an expert on security-related and administrative cases, said Wednesday that the deliberate leaking of the Prisoner X affair by MKs despite the Military Censor's orders is prosecutable. "This behavior by the MKs was indeed grave and very problematic," he told Arutz Sheva. "This is an abuse of the immunity enjoyed by MKs, by power of the Immunity Law and the law against libel." Bombach said that there are numerous precedents for placing MKs on trial despite their immunity. "I can tell you that in recent years, the courts have in fact interpreted actions taken within the Knesset as unprotected by immunity." He mentioned the cases of MKs Yechiel Hazan and Michael Goralovsky (Likud), whose immunity was removed and who stood trial for and were convicted for voting twice in a plenum vote held in 2003. "I think that once the matter is one of abuse [of the privilege of immunity] and not carelessness, the matter becomes especially serious," he explained. "Therefore, the Attorney General would do well to look into this matter thoroughly, because the law as it stands makes it possible to put [the MKs] on trial." Atty. Bombach said that if the matter is not promptly taken care of, "we will reach a very problematic situation, in which, by means of the Knesset's immunity, one can say things that are under a complete gag order that was intended to ensure that state security and public peace are uncompromised." "If we interpret this any differently, we will be making a mockery of the legislator," he opined. "The Attorney General would do well to enter into this matter as soon as possible, and he will probably have to indict, as well." Bombach represented Anat Kam, who was convicted on espionage charges.